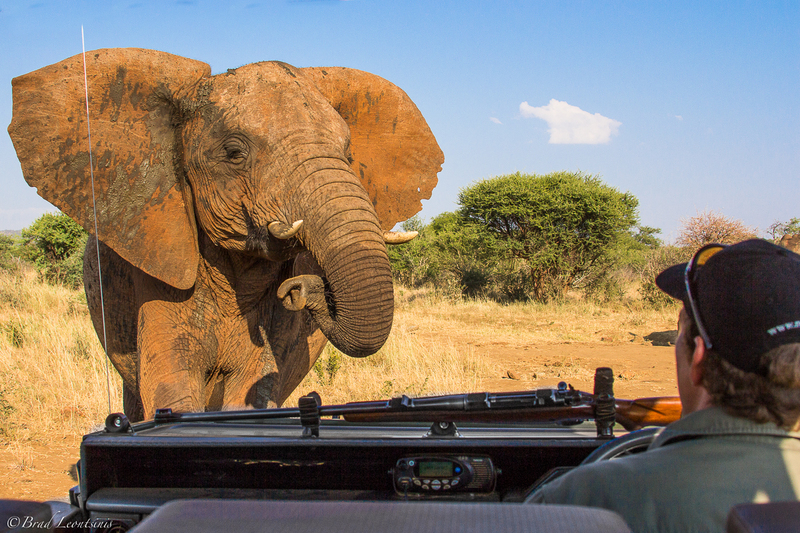 Many people who have never travelled to Africa have certain ideas about what a safari is like. Khaki clothing, round brim hats and action, lots of action! While neutral coloured clothing and as much sun protection as you can get are certainly hits, the actual experience on the ground can vary greatly. Each one unique, special and often life changing. However, the perception that safari goers will climb off the plane and rack up the big 5, in an hour, followed by a cheetah chasing down an unsuspecting bokkie, are often a bit far fetched. Perhaps we have the Discovery channel to thank for that. The actual experience is far more authentic and rewarding. I have been a wildlife guide for 15 years and believe it or not, people do arrive with these “Discovery Channel” perceptions. While a large part of our job is to guarantee action and a great deal of satisfaction, travellers should realise that the experience will vary greatly depending on where you go and how your trip is planned. In other words, planning is key. So with this in mind, let us take a look at some of the best places we know of to see 10 of the most exciting characters which we are blessed to have within our reach on a bucket list trip to Africa. No safari would be the same without spending time with African Royalty. Lions are a species which everyone expects to tick on a safari, a reasonable expectation on any decent trip. So in this case beggars can be choosers and should be. 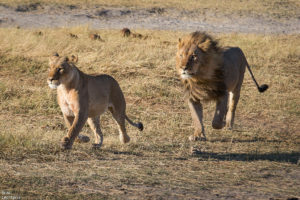 Although lions are wide spread, the quality of lion sightings and the genetics of the cats themselves can either make for some spectacular experiences with an animal which truly feels like the King, or disappointing time spent with a flat cat. 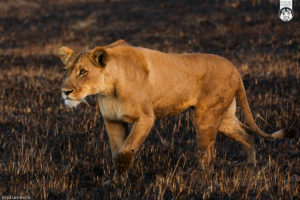 Lion genetics vary greatly depending on population dynamics and most often the level of human management and interference. So it is always worth asking about the quality of lion viewing. 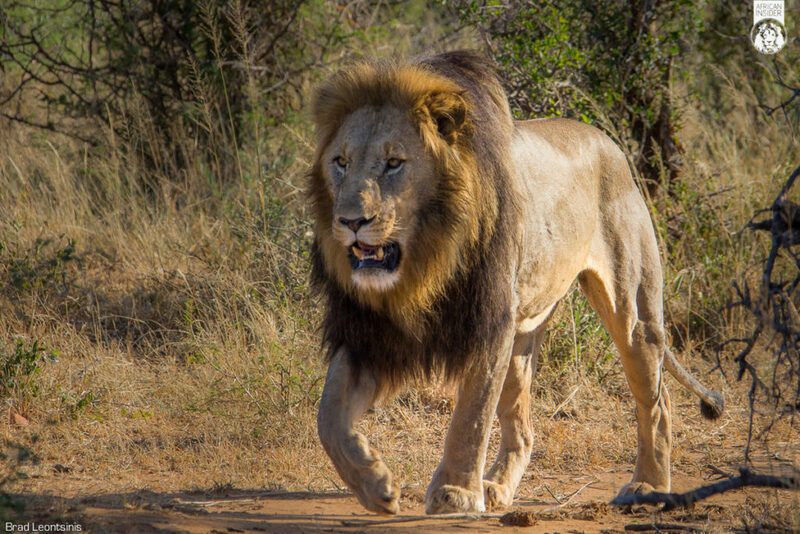 Madikwe Safari Lodge in South Africa is a fantastic place to see lions with excellent genetics. Large bodied, light coloured and disease free. They are beautiful. Savuti Camp in the Linynati region of Botswana and the stunning new Quorokwe Camp in Botswana’s Okavango Delta region, both have free ranging populations of lions. This means adequate amounts of genetic diversity and good populations of healthy lions. The lion viewing is fast paced and action filled. Of all the places I have seen these great beasts, the Busanga Plains in Zambia’s Kafue National Park has been the most rewarding. Affectionately known as the swamp cats, these are brutishly large lions, bigger than lions I have seen anywhere else bar a few exceptional individuals. They are like body builders, extra muscled from the time they spend wading through muddy swamps and water. To put the cherry on the top, they climb trees in October to escape flies. To see lions, the size of the swamp cats, lying around on the branches of beautiful Sycamore figs is a sight to behold. A brute of a lion in Madikwe Game Reserve. A male lion chases one of his females in the Savuti region, Botswana. A massive lioness stalks a group of Roan antelope on the Busanga Plains. The most widespread of the great cats but some how the most elusive and difficult to see. Sighting these ghosts of the African wilds is one of the most rewarding safari experiences one can have. However, you want to be able to spend time with a leopard and not just get a fleeting glimpse of one darting off into the bush, which in reality is the most common way to see them. There are a few regions where these cats have been protected and treated with the respect they deserve resulting in leopard viewing which is hard to match. 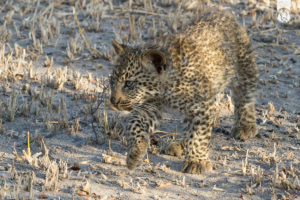 Londolozi is located on the Sabi Sands Game Reserve in South Africa and they are true pioneers of this better treatment of leopards and have the rewards to prove it. 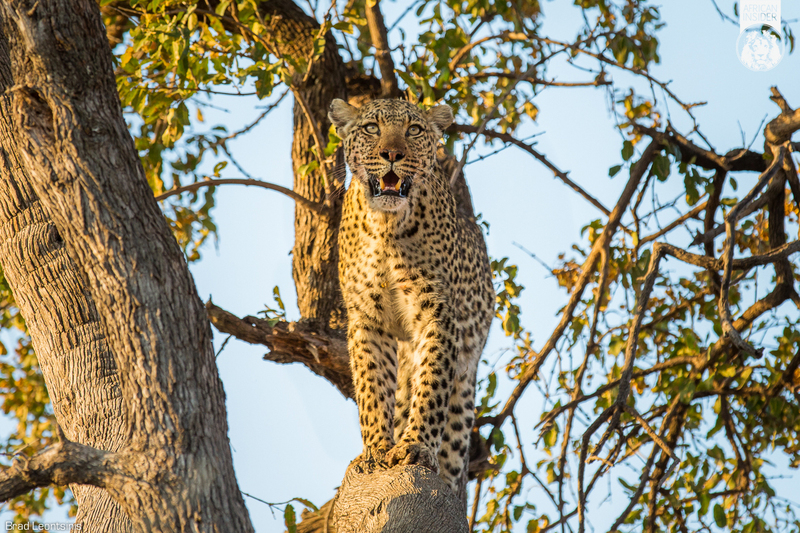 The leopard viewing is phenomenal and one can not only expect to tick this elusive cat off several times during a stay but can also expect some quality action viewing while doing it. Mombo Lodge on Chiefs island in the Okavango Delta is one of the most superb wildlife destinations which exist and the leopard viewing easily matches it. Check out the documentary film Eye of the Leopard to get a sense of this magnificent region. 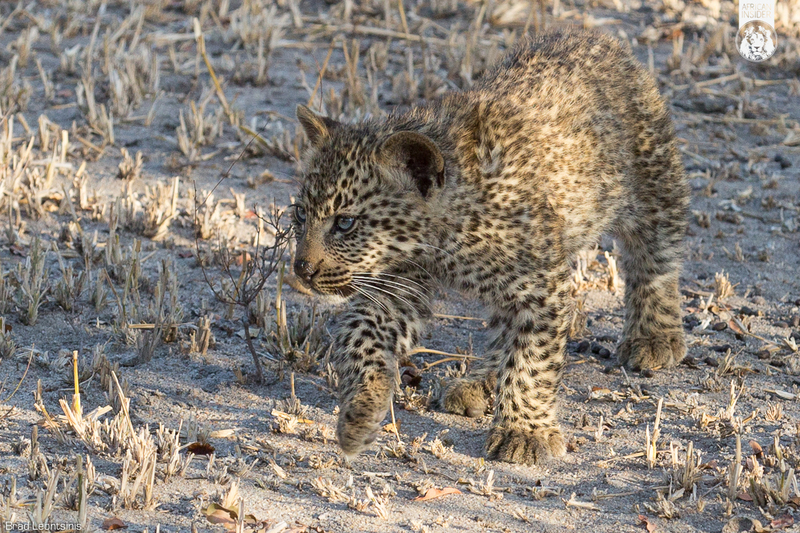 Quality leopard viewing at Mombo in Botswana. Gentle Giants, sometimes scary giants, no experience can be quite as awe inspiring as intimate moments spent amongst elephants. Elephant viewing can be done in many places, but again it is the quality that counts. The chobe region of Botswana is famed to have the highest concentrations of the great beasts. Indeed arriving at Savuti Camp in the dry season is quite incredible. 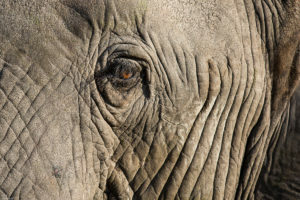 The waterhole in front of the camp is teaming with huge numbers of elephants, 24 hours a day. Observing their interactions around the precious and scarce water source is fascinating. To really get the heart pounding in a way only elephants can do, spend some time in the log pile hide by the waterhole in front of camp. An experience which is hard to match with wild elephants. Abu Camp, in the Okavango Delta provides a completely different and quite phenomenal experience. When a 50 year old bull takes time out of his day to stop and acknowledge your presence, you know you have been put on this earth for a reason. The herd of habituated elephants which exist at Abu Camp make for a bucket list experience which is hard to equal. You can even sleep out with the eles. A mind blowing way to appreciate these wonderful creatures. 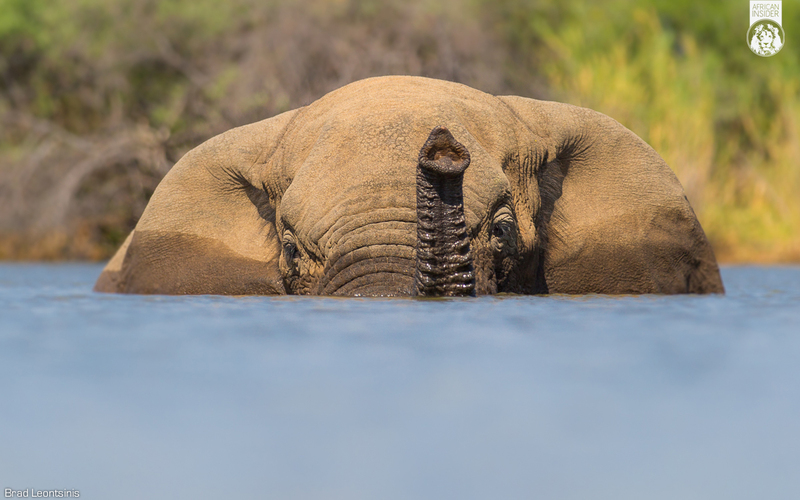 A swimming bull elephant, Marataba. With only 880 wild mountain Gorillas left in the world, only a select few will ever know what it is like to see them in the wild. And the way of viewing these animals is like no other. Sit amongst a family group of Gorillas and have your fleas picked by a helpful Aunt. Or stare deep into the wise eyes of an intimidating Silver Back. There is nothing like it. Bisate Lodge in Rwanda is the only luxury lodge for the Gorilla experience. And being set at the foot of Volcanoes, it is quite the experience! The vision of Wilderness Safaris in creating a sustainable and conservation minded operation with Bisate Lodge is quite remarkable. 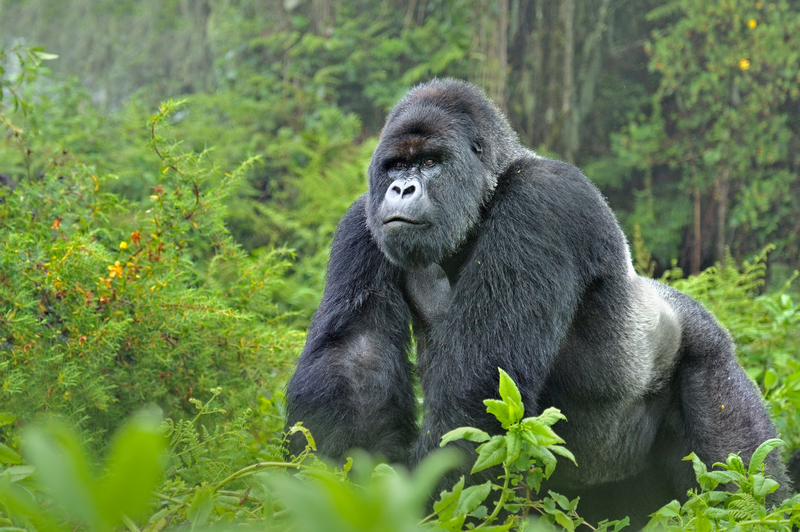 They are taking back land vital for the gorillas. The ecology around the operation is also fascinating. The most successful of the savanna predators but along with Cheetah they are also the most endangered. These fascinating canines can always be counted on for providing some exciting predatory action, with most packs hunting twice in a day. With a success rate of 80% take down of the prey they go after, the action never stops with the dogs. With massive home range areas, these Knowing the behaviour of the dogs in different regions is key if you hope to get a chance to see them. Duma Tau Camp in the Linyanti Region of Botswana in the summer months of a new year is an excellent place to catch them. Chitabe Camp in the Okavango Delta is also a very good area for the dogs with packs frequently denning in the region during the dry winter season. 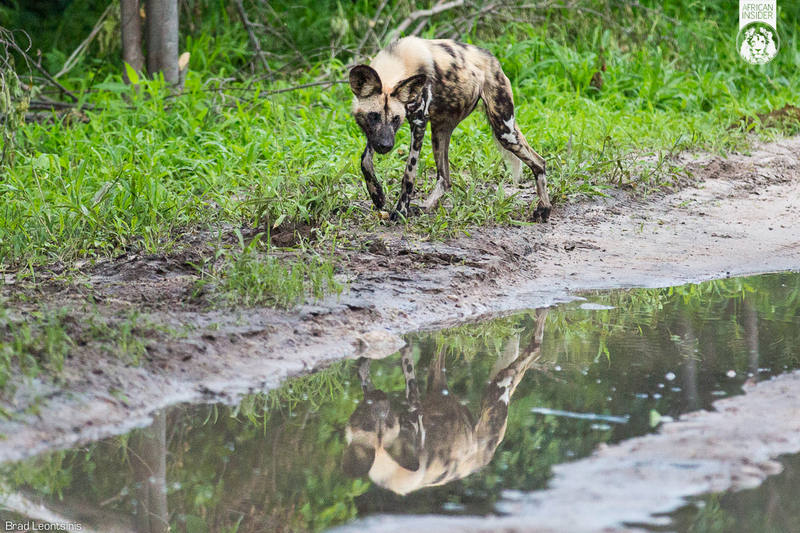 Wild Dog in the Linyanti region. 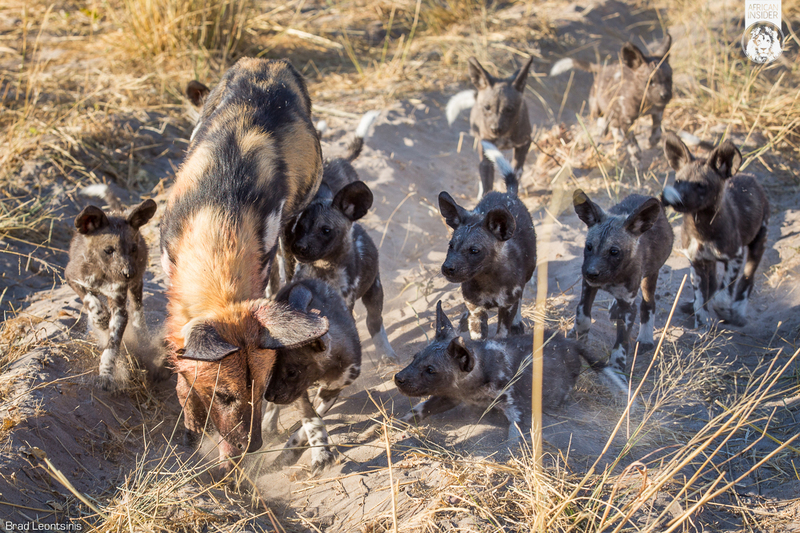 Adult dog feeding pups in Chitabe Region, Okavango Delta. Two specialist species which are some of the highest prize ticks on any safari list. Animals which usually create more excitement for the guides than the guests, due to the rarity of such sightings. There is however, one place where you are very likely to encounter these two fascinating and extremely important species. Tswalu lodge in the Kalahari during the winter months is the only destination which has reliably frequent sightings of both Aardvark and Pangolin. During the day as well! A true nature enthusiast and wildlife photographers dream. Tswalu is luxury in the desert and provides a once in a lifetime experience. 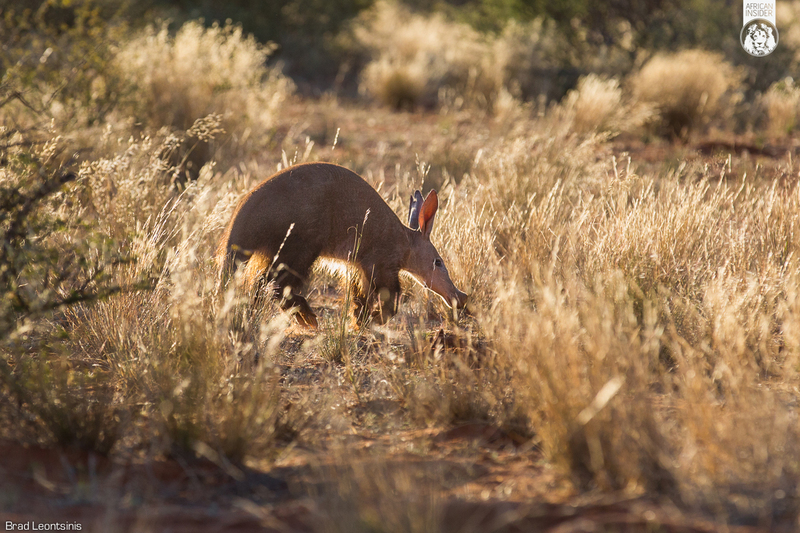 Aardvark walking in evening light, Tswalu, Kalahari. 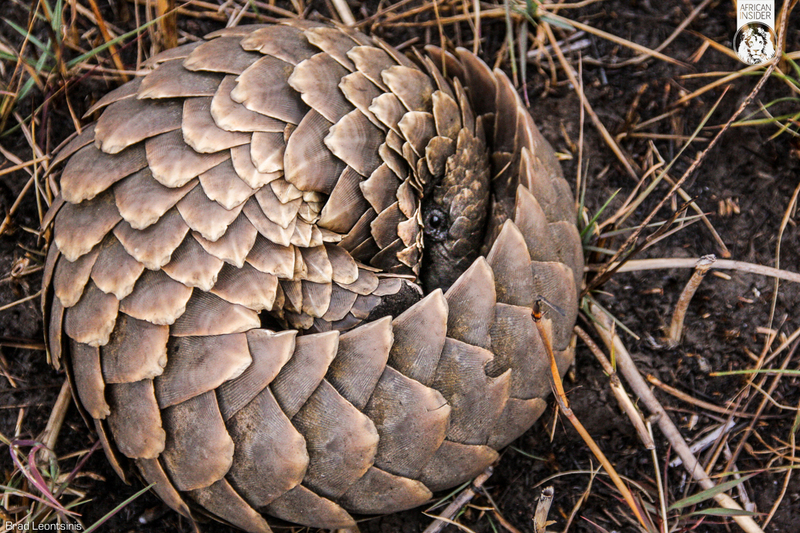 Pangolin on the Busanga Plains, Zambia. Every time I see a cheetah I feel as if I am working on borrowed time. With just 7100 cheetah left, any time spent with the most prehistoric member of the big cat family is priceless. Cheetah are vulnerable to all of the other large predators, as a result much of their time is spent avoiding lions, leopards and hyenas and consequently they can be hard to see. 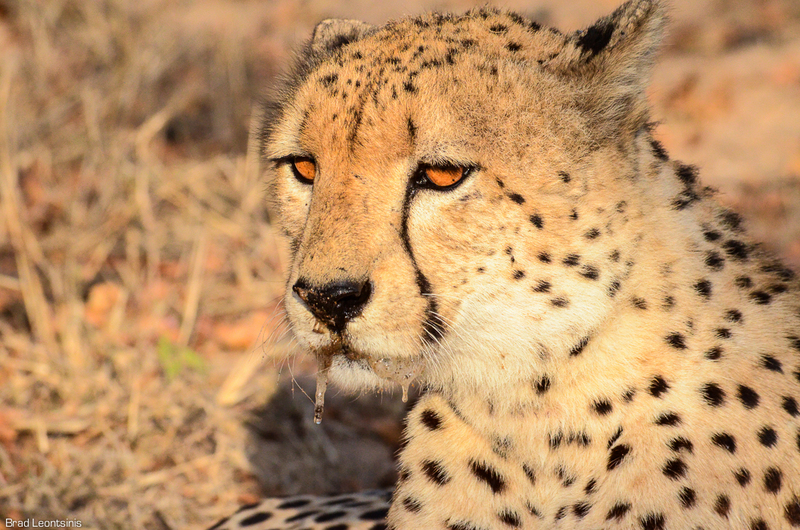 Phinda Private Game Reserve is an outstanding and reliable place to see Cheetah. Set along the Northern Kwa-ZuluNatal coastline in South Africa, Phinda is a fantastic and unique area to visit for wildlife. Forest Lodge is a favourite on the reserve, nestled amongst a coastal sand forest. The region is tropical and the vegetation is fascinating and beautiful, making viewing of the big 5 in such a unique setting extra special. Governer’s camp in the Mara Reserve is another place which can be counted on for quality cheetah viewing. Located on the concession where the famous big cat diaries was filmed in Kenya, the cheetah viewing is excellent and on the plains of the Mara the setting is nothing short of magical. Thornybush Game Reserve is another reliable place to see Cheetah and is located in the Greater Kruger Region of South Africa. 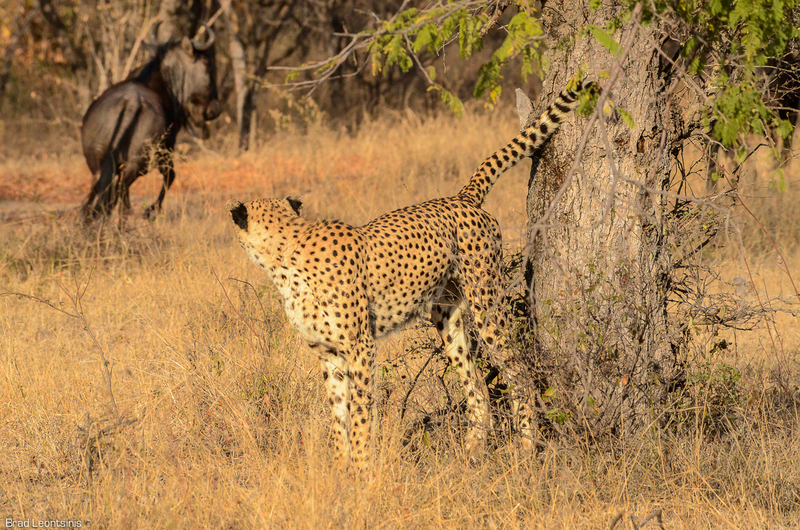 The region is highly predator dense which is not usually an environment which Cheetah prefer but some strong and adaptable individuals are established in Thornybush. Cheetah glaring at a Wildbeest in Thornybush Game Reserve. 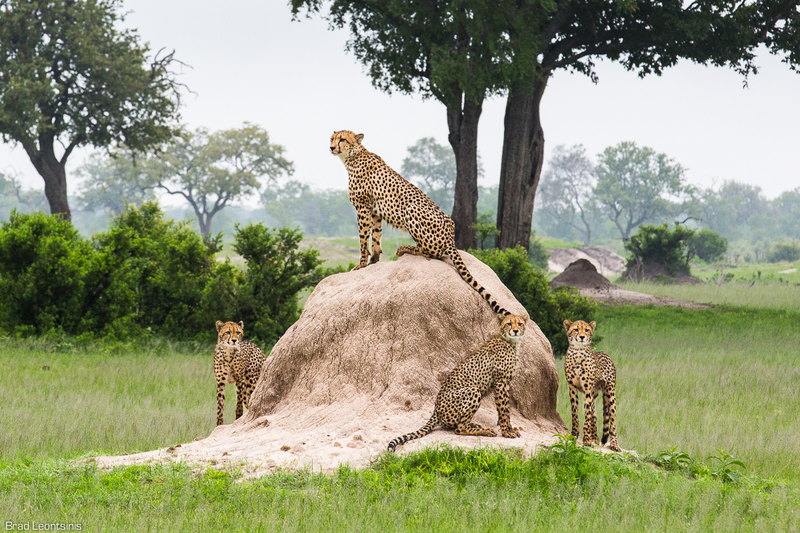 Mother Cheetah and 3 sub-adult cubs in Hwange, Zimbabwe. One of the more fascinating creatures of our landscape, these impressive characters are under serious threat. 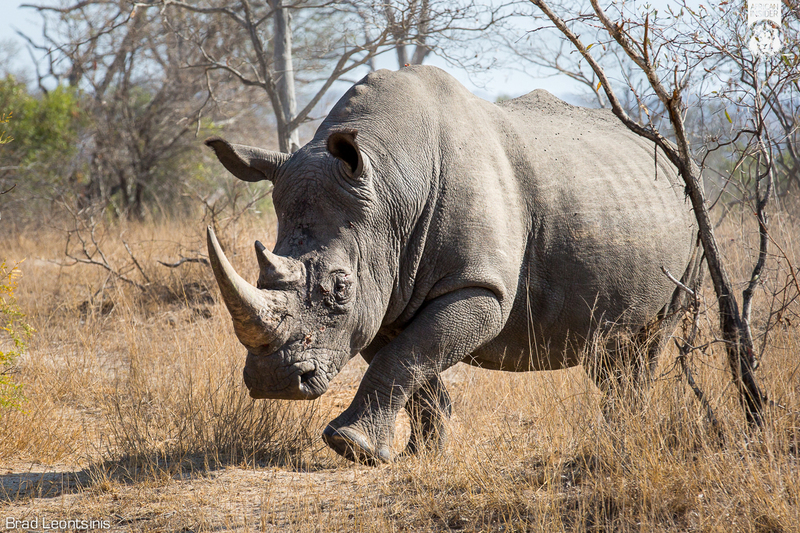 Senseless poaching on an industrial scale to feed demand for Rhino horn in Asia has put their immediate future in dire straits. There are two types of rhino species which are relevant to safari’s in Africa and these are the Black and White Rhino. The two species are quite different in both habitat preference and behaviour which is fascinating as they appear quite similar in appearance although on closer examination profound differences will be observed. We have some fantastic places to see rhino but rather than name places to see them we will name two organisations we are proud to work with and support who have made massive efforts in relocating rhinos from problem areas to protected areas in Botswana and other places outside of the borders of South Africa. 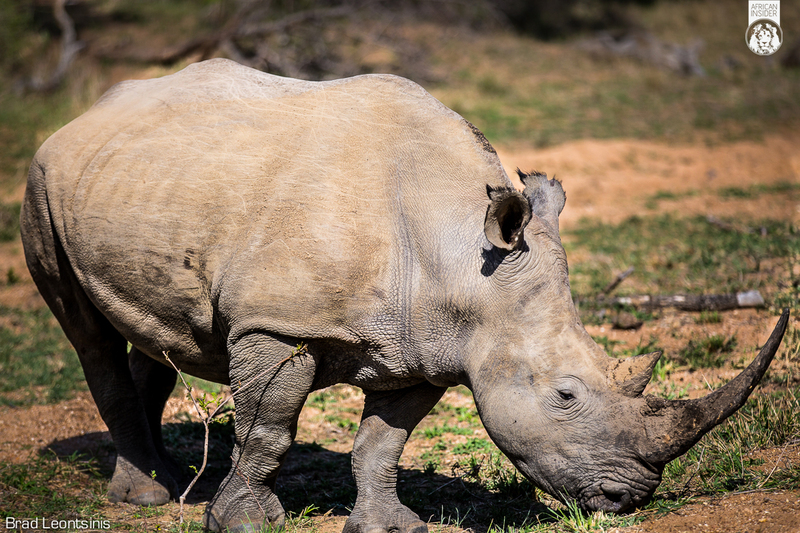 The first is Rhino’s without Borders which is a collaboration between andBeyond and Great Plains and the Second is the Wilderness Safaris Rhino relocation project. The last of the great animals we will look to find on the journey through Africa for this instalment of this article is the Great White Shark. 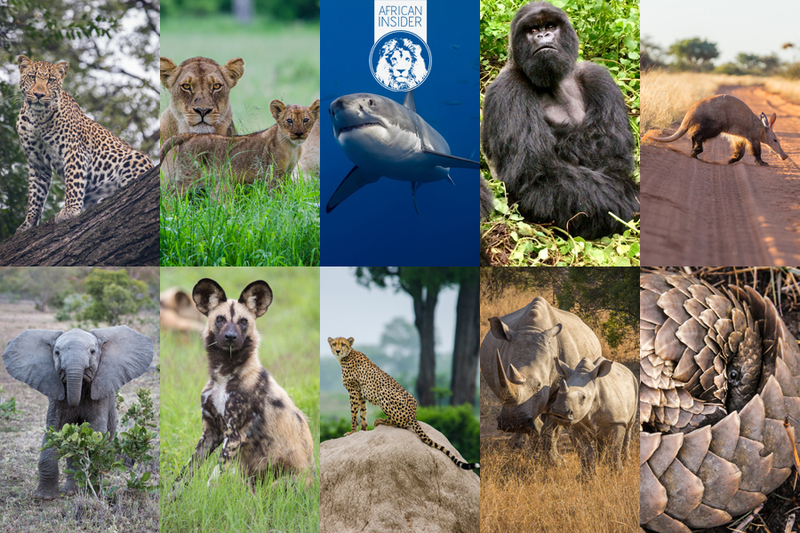 It occurred to me about mid way through writing this piece that each one of the animals I have named are critically endangered despite being on the list as the biggest tourism draw cards. The Great White Shark is no different. South Africa’s coastal waters have for millions of years been the roaming waters of these powerful creatures. 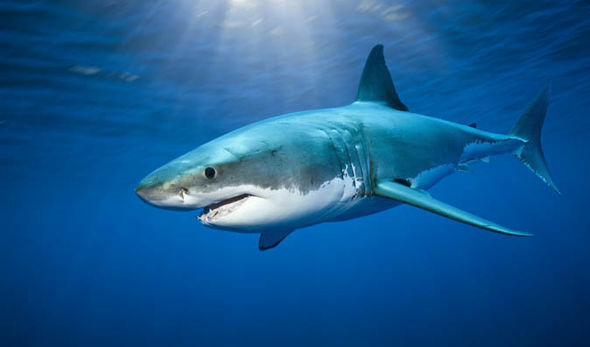 The findings of a study published in 2016 by a team of scientists from the University of Stellenbosch, suggests the sharks are dangerously close to extinction with only between 353 and 522 Great White Sharks left in the mirky waters of South Africa’s oceans. A creature so large, powerful and frightfully intimidating and unrivalled in it’s ability to deal out perspective of our place in the natural order of things. Gansbaai in the Western Cape and Cape Town’s False Bay are both phenomenal places to see the sharks seasonally. Viewing sharks either from the cages or from the tops of boats is quite remarkable and the photographic opportunities which exist with sharks breaching out of the water while predating Cape Fur Seals in this region are second to no other. A worthwhile inclusion on every trip to the Cape.